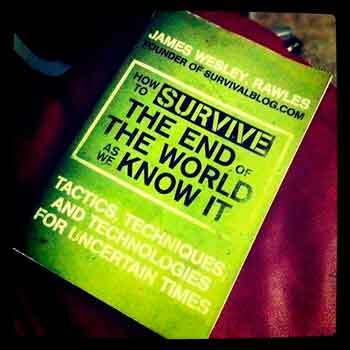 The knowledge you acquire by reading survival books can literally save your life. For this reason, you have to pay due diligence to find the book with the correct information, such as the SAS Survival Handbook. Often authors claim to be experts in their field, and weeding out the weekend warrior from the trained expert can be daunting. The Internet can help you find reliable sources that recommend the best and most dependable experts in this field. This field contains many different categories, and, while one expert can have an overall expertise, it is best to look at more than one author to get general knowledge about each sub-category. Survival tactics are taught to astronauts, military personnel and executives of corporations. These people get introduced to different scenarios that might seem implausible but are very probable, so they can cope with the situation and survive. You can learn some of the same strategies they use, because they are available to anyone willing to take the time to learn the methods available in many survival books. Always check for the references from the book you are reading. Randomly pick several pages and read them to see if the information is valid. "Patriots" is regarded as one of the best survival books to deal with many of the conditions that can result because of an economic collapse, including anarchy or breakdown of law and order. The current economic climate and the interdependence of the world economy make the scenarios in the novel plausible. Being a survivalist does not mean living in a shack in the woods, waiting for the end of the world. A true survivalist is a person informed about his or her environment who takes appropriate action not to fall victim to the circumstances. A book on surviving an economic collapse will teach you where to place your money, acquire precious metals, get out of debt and be in control of your finances. Don't take financial advice from just anyone. Find a book or a financial advisor who understands all possible scenarios including economic collapse. The vast majority of the population in the United States lives in major metropolitan areas. While the city offers many different benefits, it can be extremely dangerous if there is a breakdown in the rule of law. Survival books which deal in this subject have to emphasize an escape plan to avoid the eventual chaos that will result if the situation is not resolved immediately by the authorities. A good survival book will teach you how to analyze the situation and make the right decision for your dilemma. Do not look for cookie-cutter solutions; become an expert in your predicament and you can devise solutions for you and your family. No matter what your stance is with the government, you have to admit that we have the best-trained military in the world. The military manuals are the best survival books you can purchase, because the government has the experts in their respective fields write them. These manuals will teach you how to survive in every known climate and geography, identify and eat the right plants and food, medical care, build shelter and protect yourself from different forms of attack. Each branch of the military writes a manual, and the special forces of the branches also have their own methods of training. If you have to survive outdoors for an extended period, you have to know how to garden, identify plants and learn about the many medicinal benefits of herbal remedies. "Seed Starters Handbook" is a book with a lot of information about acquiring the right seeds and the best time to use them. You can use plants for food, shelter, medication and fuel. You will not find one book that, by itself, will give you a definitive answer to all your questions, but once you read one book, you will realize how much more you have to learn. This will eventually lead you in search of more authoritative books on the subject. Be careful of authors of survival books claiming to be experts.